*OVER* Krispy Kreme - FREE Small Coffee & FREE Original Glazed Doughnut! 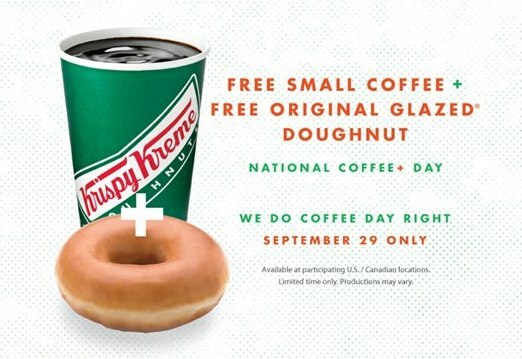 Tomorrow, September 29th., head over to a Krispy Kreme near you for National Coffee Day! Get a FREE Small Coffee & FREE Original Glazed doughnut! Woohoo! *See store for complete details.